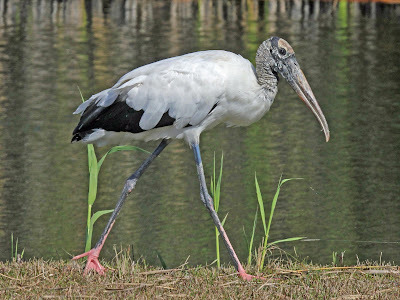 Being a the only stork that presently breeds in north America the Wood Stork is suggested to be able to adapt to a variety of habitats that are in the tropics and have fluctuating water levels. Wood Stork without a nest occasionally try and take over others nests. Such are performed by more than one bird where the young and eggs are thrown out of the nest within about 15 minutes .